Samuel Allen Barnard was born in Woolwich, the son of a pioneer at Chelmsford’s Hoffmann’s ball-bearing factory, and had served in navy for a decade until killed when H.M.S. 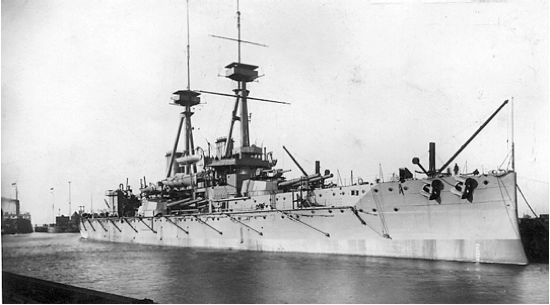 Vanguard blew-up at Scapa Flow in July 1917. His parents lived in Swiss Avenue. “Leading-Seaman Samuel Allen Barnard, 26, only son of Mr. and Mrs. S. G. Barnard, of Swiss Avenue, Chelmsford, was killed by the sinking of H.M.S. Vanguard. He had been in the Navy ten years, and was a rangefinder on the Vanguard in the Jutland battle. All the ships he had served on previously have been sunk during the war. He was married about a year ago; his wife lives at Bocking." Samuel is commemorated at Chatham Naval Memorial in Kent (memorial reference: 21), the Civic Centre Memorial, Chelmsford and by the Chelmsford Parish Great War Memorial in Chelmsford Cathedral. 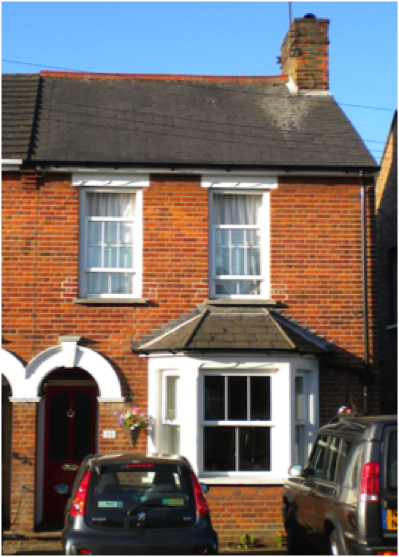 The 1918 register of electors listed his parents at 29 (Tugela), Swiss Avenue, Chelmsford (lpictured). His widow, Esther, subsequently lived at Church Lane, Bocking. Samuel was born at Woolwich, London on 9th February 1891, the only son of Samuel George Barnard and Hannah Mary Barnard (nee Hall). His father had been born c1871 in Chelmsford; his mother c1868 in Plumstead, Kent. The couple had married at St. Nicholas’ Church in Plumstead, Kent on 2nd August 1890. At that time Samuel’s father was a 21 year-old porter living at 9 Barth Road in Plumstead. Samuel’s mother, then aged 23, also at that address. (born 1895 in Woolwich), Marjorie Tugela Colenso Barnard (born 1900 in Chelmsford) and Nesta Alma Barnard (born 1907 in Chelmsford. His sister Marjorie, who was to die in infancy, appears to owe her middle names to the Boer War Battle of Colenso which took place close to the River Tugela around the time of her birth. In 1891 the census recorded two month-old Samuel living with his parents at 71 Church Street in Woolwich. His father was an ironmonger’s porter. The 1901 census found ten year-old Samuel living with his parents and two sisters at 64 Broomfield Road, Chelmsford. At the time his father was a plumber. A decade later the 1911 census listed Samuel’s parents and three sisters at Norman Villas in Broomfield. 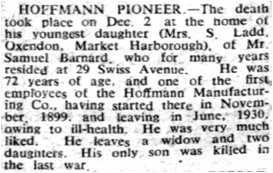 His father was a foreman at Hoffmann’s ball-bearings factory. Samuel married Esther Harris on 6th April 1916 at St. Mary’s Church in Bocking. At the time he was 25 years old, serving as a seaman on board the Royal Navy battleship H.M.S. Vanguard. His bride was the 31 year-old daughter of the lathe worker Alfred Harris. She lived in Bocking and was a housekeeper. 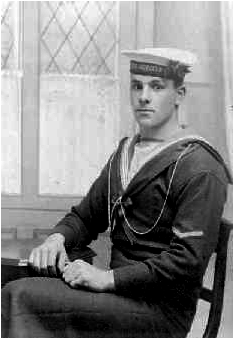 Samuel was killed on 9th July 1917 while serving as Leading Seaman 238388 on H.M.S. Vanguard when the vessel blew up at Scapa Flow, Scotland just before midnight, probably because of a spontaneous ignition of cordite. He was one of more than 800 crew members on board who lost their lives. He was aged 26. Samuel’s father’s cousin, Herbert Barnard lost his life in the First World War, while a cousin of his father Johnny Rees ‘Jack’ Barnard, lost his life in the Second World War. Samuel’s father died in 1943; his mother twenty years later.